GOQii Play Can Change Your Life – Here’s Proof! Early in 2018, we had begun experimenting with live coaching. We had started with 5 coaches who would conduct sessions and share their expertise Live via Facebook. As interests in these sessions grew, so did we. Today, with over 30 coaches who hold interactive classes on topics ranging from health, nutrition and fitness to yoga and emotional wellness, our experiment has successfully blossomed into a colossal mammoth known as GOQii Play. 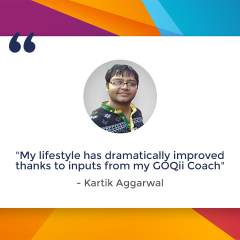 In the course of a year, GOQii Play has helped numerous individuals make a positive lifestyle change via live classes through the GOQii app. We are about to introduce you to one such individual who made the most out of this platform. Based in Baroda, Mayur Jalu is a 34-year-old working professional employed by Bajaj Allianz. In Oct 2018, he was introduced to GOQii, receiving it as a Diwali gift. 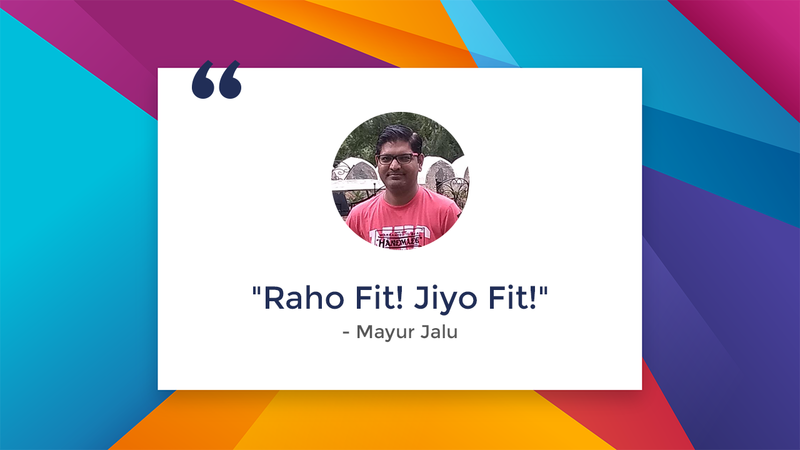 With a 3-month subscription in his hand, Mayur wasted little time and began engaging with the GOQii app and tracker immediately. His health goals included weight loss, to stay fit and have an active mind. 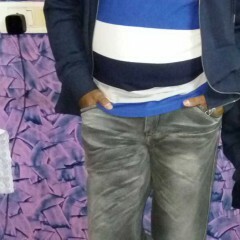 Since the beginning, Mayur was attracted to the GOQii Play feature and began following it religiously. He regularly watched the 8:30 PM show and sometimes, also tuned in to the 6:30 PM show. His favourite coaches being Apurva and Aliya. Mayur told us that he learned a lot from his coaches on GOQii Play about what he should and should not do in terms of exercise and nutrition. With all the information that he received, Mayur went on to change his lifestyle for the better. 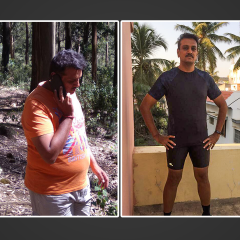 Within 2 months, Mayur reduced from 76kg to 74.1kg. He now exercises frequently and clocks 7-8k steps on a daily basis. He stopped drinking tea in the morning in order to reduce his sugar intake. Before, he used to consume a lot of oily, fried food which he has now replaced with fruits and salads. He eats a light dinner accompanied by buttermilk and increased his overall water intake. Mayur claims that GOQii Play helped him a lot and thanks to that, he can now spend more time with his son and still manage to sleep as early as 10 PM. Mayur proved that if you’re determined, you can achieve your goal one way or another. 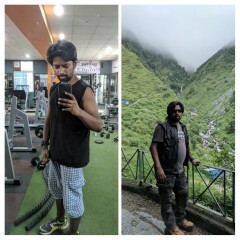 Mayur’s message to everyone out there is, “If I can change, so can you!” and quite rightly so.